Failure to reconcile medications across transitions in care is an important source of harm to patients. Little is known about medication discrepancies upon admission to skilled nursing facilities (SNFs). To describe the prevalence of, type of medications involved in, and sources of medication discrepancies upon admission to the SNF setting. Patients admitted to SNF for subacute care. Number of medication discrepancies, defined as unexplained differences among documented medication regimens, including the hospital discharge summary, patient care referral form and SNF admission orders. Of 2,319 medications reviewed on admission, 495 (21.3%) had a medication discrepancy. At least one medication discrepancy was identified in 142 of 199 (71.4%) SNF admissions. The discharge summary and the patient care referral form did not match in 104 of 199 (52.3%) SNF admissions. Disagreement between the discharge summary and the patient care referral form accounted for 62.0% (n = 307) of all medication discrepancies. Cardiovascular agents, opioid analgesics, neuropsychiatric agents, hypoglycemics, antibiotics, and anticoagulants accounted for over 50% of all discrepant medications. Medication discrepancies occurred in almost three out of four SNF admissions and accounted for one in five medications prescribed on admission. The discharge summary and the patient care referral forms from the discharging institution are often in disagreement. Our study findings underscore the importance of current efforts to improve the quality of inter-institutional communication. We gratefully acknowledge Jerry Gurwitz, MD, for his support of this project, the work of the research team advance practice nurses Francisca Adams, Suzanne Sullivan, and Anne Crowell, research assistant Diane Quinn, and Jennifer Donovan, PharmD, Abir Kanaan, Pharm D, and Jane L. Givens, MD, MSCE, for their assistance with this manuscript. Dr. Tjia was supported by a Mentored Clinical Scientist Career Development Award from the National Institute on Aging (K08 AG021527). This study was supported by a grant from the Rosalie Wolf Interdisciplinary Geriatric Health Care Research Center at the University of Massachusetts Medical School and the University of Massachusetts Boston funded by the John A. Hartford Foundation and the RAND Corporation. Dr. Briesacher has received unrestricted research grants from and served as a consultant for Novartis Pharmaceutical Corporation within the past 3 years. The Joint Commission. 2008 National Patient Safety Goals - Long-term Care Program [On-line] http://www.jointcommission.org/PatientSafety/NationalPatientSafetyGoals/ 08_ltc_npsgs.htm. Accessed February 13, 2009. Liu K, Garrett B, Wissoker D, et al. Options for improving medicare payment for skilled nursing facilities: Centers for Medicare and Medicaid Services (CMS); 2007. Available at: http://www.urban.org/url.cfm?ID=411526. Accessed February 13, 2009. Michaud Y, ed. 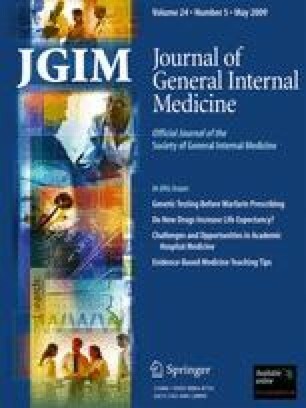 A systems approach to quality improvement in long-term care: safe medication practices workbook. Massachusetts Coalition to Prevent Medical Errors. 2007. Available at: http://www.masspro.org/NH/docs/tools/SafeMedPrac06_8-07Upd.pdf. Accessed February 13, 2009. Medicare Payment Advisory Commission. Report to the Congress: Promoting greater efficiency in Medicare. 2007. Available at: http://www.medpac.gov/documents/ Jun07_EntireReport.pdf. Accessed February 13, 2009.